It is strange to be writing you all on a Tuesday! But with the libraries closed for Labor Day yesterday, we have to do it today. Secretly, I actually like holiday preparation days because we have more time to do other stuff… haha. It feels like so much has happened since I last wrote you all though! 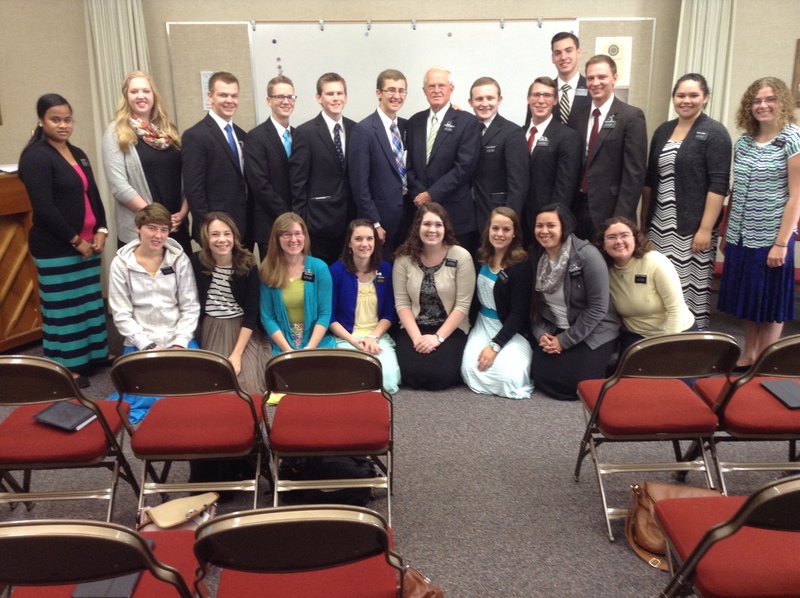 We had a really successful week here in Missoula YSA ward. I’m finally getting to know some people and places, but since I’m not the driver, it’s been harder to learn my way around. I need to pay attention more when we are going to appointments! Oh, and one random thing that I didn’t write about last week… Missoula is pronounced “Mih-zoo-lah”. 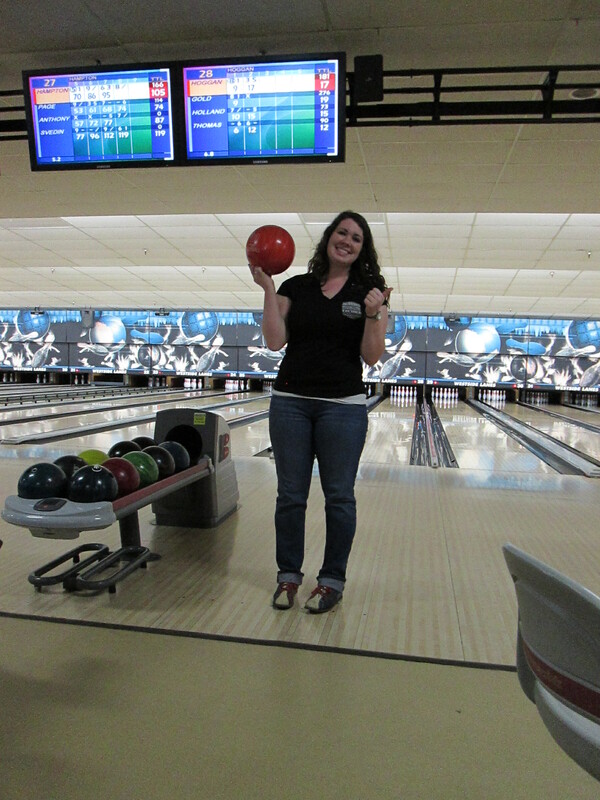 So one thing fun that the missionaries do here in Missoula on preparation day is that we go bowling! There is a bowling alley here in town that offers $2 shoe rental and $1 games. It’s been forever since I last went bowling, but thankfully I haven’t done too terrible the past couple of weeks. I had one game where I totally rocked it. Last Monday we also got to go to FHE which was fun. They did a scavenger hunt thing where they collected food for the food bank, and then they got points based on the types of food that they collected. They went door-to-door to collect, and we decided to sit out because we figured that having missionaries in your group would be a detriment… haha. On Tuesday, we went to one of the institute classes, and the class is watched the BYU devotional broadcast. We watched an old one this past week, but one of my favorites! It was Brad Wilcox’s “His Grace is Sufficient”. If you haven’t read it lately, you should look it up. After institute, we ended up hanging around the building for a few extra minutes talking to some people. This was pretty unusual because it was lunch time and we were starvinggg! But it ended up being the Lord’s hand that kept us there. The Bishop of the YSA ward, Bishop Blair, happened to be there as well in his office, and he had a young lady name Karen stop by and she told him that she wanted to learn about the church. He talked to her for a bit, and then he came out and saw that we were still in the building, and he referred her to us. Karen has been dating a less-active member of our ward for about two years now, and she felt like she should just walk into the institute building and learn more about the church because she’s been searching for “something more”. We taught her that day, and then we saw her again on Wednesday, and then she came to Institute class on Thursday night! She is awesome. Our other investigator is still doing pretty well. He’s had some difficulties this past week, so we are probably going to have to push back his baptism a week, but we think he can overcome his fears this week. He is still progressing, and is reading the Book of Mormon like crazy. This week we started meeting with a recent convert twice a week. He’s been having some struggles and hasn’t been at church in a while. I had the fun experience of locking myself inside his trailer’s bathroom… it was crazy! He had to come basically break down the door… hahaha. District Meeting in this zone are held until Wednesday, which is kinda odd. We have two members of our ward that are preparing for missions, and they come to district meeting with us and observe and participate. It’s pretty cool! I think it’s a great opportunity for pre-missionaries to get to see that. (I didn’t even know what district meetings were before the mission… lol!). Wednesday nights, we got to ARP (Addiction Recovery Program) with a member that we teach, and that program is so inspired. It really is awesome. On Thursday I had a new experience- I rode a city bus for the first time in my life! Apparently this area didn’t have a car for a long time, so Sister Gold is pro at the bus system. We have a member of our ward that also lives with us and our host family, and she just had shoulder surgery, so we went on the bus with her to help her do errands and carry stuff for her. And then we had lunch at Cafe Rio… yum. We had exchanges over the weekend with our Sister Training leaders. I went to the other sister’s area with Sister Martin (who I came out with and adore), and we had a blast. We did a tracting approach called “hymning” where we ask if we can sing them a song. Our song that night was “I stand all amazed” and we had some amazing results- people let us in! On Saturday, we had an impromptu zone meeting where we talked about conversion. Then we had a testimony meeting together in which we each shared our conversion stories- it was powerful. My companion and I also gave talks on Sunday, and I chose to speak about conversion. It really doesn’t matter if you were born into the church or not- we are all converts. And we are all in the constant process of converting ourselves! I felt like our talks went well, and the ward members were very kind and complimentary afterwards. Oh, I could probably write about three more pages, but I have to cut it off somewhere! It’s crazy to think that I will be 22 when I write you next…! Every time someone finds out that I’m turning 22, they start singing the Taylor Swift song “Twenty-two”… so that’s been permanently stuck in my head, haha. I love you all soooo much! Thank you for your righteous examples for me and your love and kindness. Have a happy week! ← Missoula, NOT Great Falls!